This hilly, coastal capital is Europe’s westernmost city and the only one on the Atlantic coast. From imposing São Jorge Castle, the view encompasses the old city’s pastel-colored buildings, Tagus Estuary and Ponte 25 de Abril suspension bridge. Nearby, the National Azulejo Museum displays 5 centuries of decorative ceramic tiles. Just outside Lisbon is a string of Atlantic beaches, from Cascais to Estoril. At 2.7 million people, it’s the 11th most populous city in Europe. Lisbon lies in the western Iberian Peninsula on the Atlantic Ocean and the River Tagus. It’s one of the oldest cities in the world and the oldest in Western Europe. The city’s geography, weather, and history make it a great city for running. And if you like hill running, this is your city! 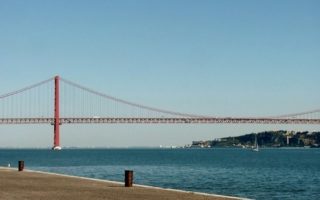 There are two great spots to run along the Tejo (Tagus) River: west, along a 5-mile path to Belem; and a spectacular, modern section from the Oceanarium east through Parque das Nações and Parque de Tejo. A lovely downtown (Baixa) run along the wide Av. 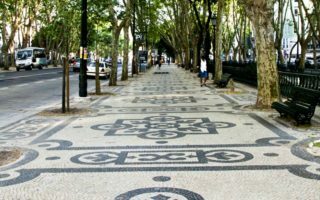 de Liberdade to Eduardo VII Park features important squares and buildings. If you like hilly running, this is your city — huff it up the narrow streets, lanes, and stairs of the Bairro Alto or Alfama neighborhoods, to the Castle or one of the Miradouros (view points). The largest park is Monsanto, which has great running options and is now well connected to downtown via a recently completed ‘green corridor’. 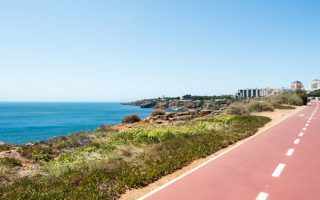 For a fantastic coastal run, take a 30-minute train ride to the port village of Cascais and enjoy a spectacular 10 km path along the Atlantic. The weather is mild year-round, and summers are hot but not terribly so. There’s good transport, from historic tram lines up some of the hills (Elevador), to a metro system that covers a good part of the city. High speed trains connect to other important spots in Portugal. Notes: Much of the surface of the older part of town and some running paths are limestone, which can be slippery. Also, nearly all of our Lisbon routes are well lit at night — even the bike/ped. paths! Pedestrians are not allowed across the 25 Abril Bridge, except the EDP Half Marathon, when 35,000 runners do it…. A gorgeous riverside run of nearly 5 miles, with a dedicated waterfront path most of the way, important landmarks, museums, and gardens. Great views of the the 25 Abril Bridge, with path underneath it. Can run one way and take the train back! 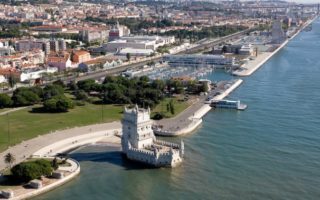 The run between Belém Tower and Alcântara Docks has it all: lovely riverside path, beautiful gardens, and several important landmarks and museums. This run is a few km west of the city center. Full riverside route is 7.5 km one-way. A beautiful run along more recently developed river paths in the modern part of Lisbon. 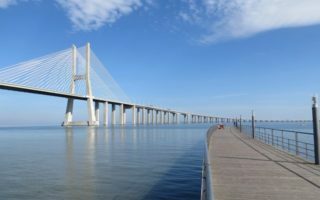 Some sections of the path literally float on the water in this 11 km out and back through the Parque das Nações, under the Vasco da Gama Bridge, and Parque das Trejo. 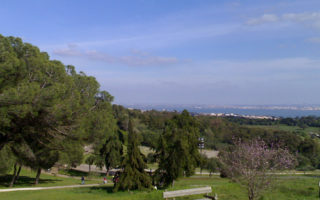 The largest park in Lisbon, with many km of trails. Good variety -- from pedestrian & cycle paths to forested trails to lovely open fields. Hill run opportunities with great views. 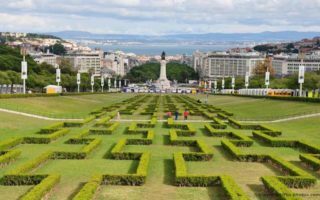 Classic Lisbon run, from the River Tagus to Eduardo VII Park, through the Baixa district and and along grand Av. de Liberdade. Many important tourist attractions in this area, and good options to vary the route. 65 Acre park located near central Lisbon. Highlight is the central walk with box hedges and a hilltop view with giant Portugese flag. For a longer, the 'Green Corridor' starts here and goes ~2 miles to Monsanto Park. "Upper District" neighborhood just west of the Baixa. 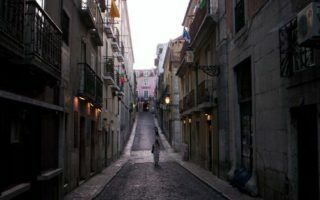 Similar to the Alfama area, design your own route along the narrow streets, lanes, and stair paths. We've supplied a few recommended streets, landmarks, and viewpoints. The oldest district in Lisbon. Enjoy the narrow maze of streets and hills. 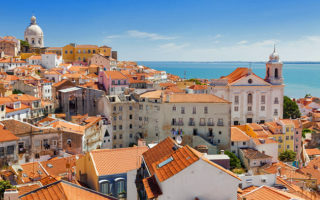 Sites include the Cathedral, Lisbon Castle, National Pantheon and Saint Anthony’s Church. Best way to enjoy the area is to plot your own route through the narrow streets. A centrally located sports complex with both indoor facilities and 100 acres of outdoor running trails, tracks and green spaces. There are signed routes. It's free but has specific opening hours. Combine with nearby Jardim de Campo Grande. A wonderful coastal run along a dedicated path in this resort town 30 km west of Lisbon. From town, the path runs for nearly 9 km, with great views of the Atlantic Ocean nearly the entire way. Lighthouses, beaches, parks, and a public golf course. Lisbon generally has great weather for running. It’s sunny and mild to warm nearly year-round. Summers are warm to hot, with average July highs of 28C (82F), with nights staying warm, around 23C (74F), and fairly humid. Spring and fall are warm and delightful. Winters are mild. Average January high temperatures are 15C (60F), with low temps about 8C (high 40sF). Summers are very dry with hardly any rain. Winters can be a bit wet but generally mild for running — bring a layer! 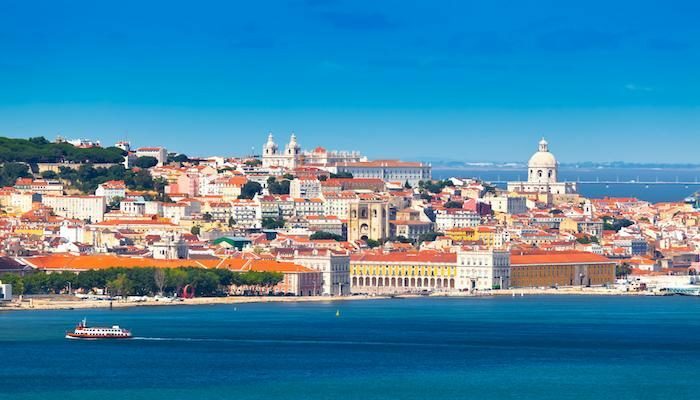 Lisbon is one of the most visited cities in southern Europe, so there’s no shortage of hotels. For runners, there are three areas where there are clusters of hotels where we would recommend staying. There’s a good selection of hotels in the main downtown area, between the river and the Marquês de Pombal, on either side of Av. da Liberdade. 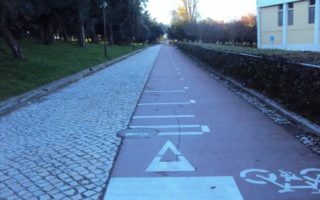 This also provides good access to the hilly Bairro Alto and Alfama neighborhoods. If you’d like to me near the river path, stay closer to the river. There are also a few hotels along the river, between the bridge (Ponte 25 Abril) and Belém Tower. For access to more green space, including Monsanto Park, there are several high-end hotels around the Marquês de Pombal, which is the beginning of the path to Eduardo VII Park and the “Green Corridor” leading to Monsanto. There are numerous hotels just to the east of the park. There aren’t as many dedicated running stores in Lisbon as in other European cities, but the culture is growing. 4Run is the only dedicated, independent running store in Lisbon. Great selection of gear. There are also retail stores for Nike, Asics, and Puma. See the map on the Lisbon home page. Sportsdirect is a general sporting good retailer with a good selection of running gear. 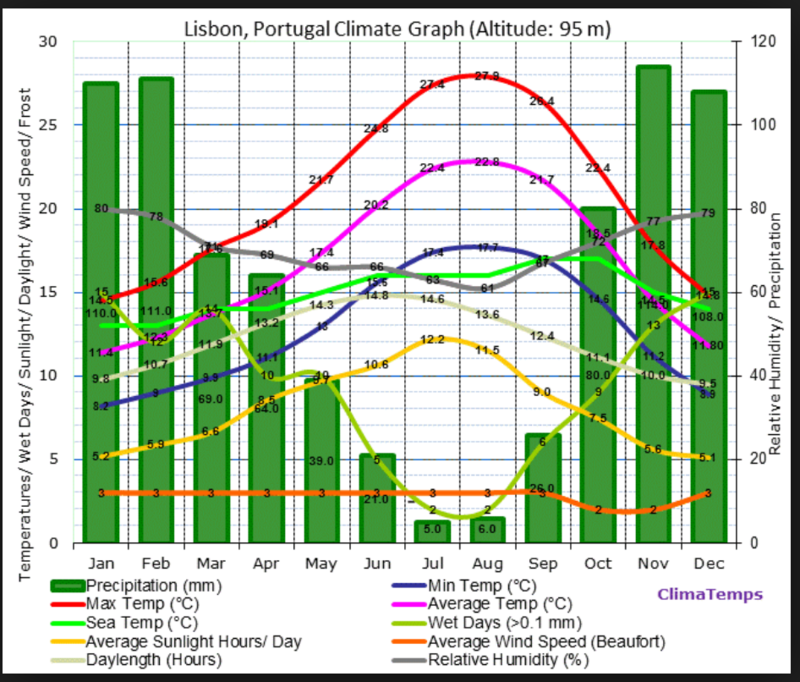 Running Portugal is a good resource and organizes a lot of race trips. Run in Portugal. Bo offers running tours and sightrunning. Rock ‘n Roll Lisbon Marathon. Also called “The Races”, includes a marathon and half marathon. October. One of the most beautiful city marathons. Journey from the seaside village of Cascais, run along the banks of the Tagus River and pass World Heritage sites. EDP Half Marathon. March. Nice run along the water. 35,000 people run over the 25 April Bridge! The only opportunity to run across the bridge! Discoveries Half Marathon. December. Fun race with music bands along the route.